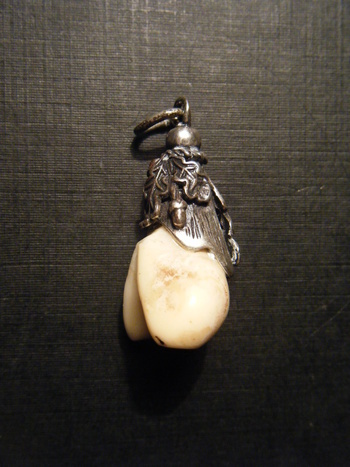 ELK IVORY/DOUBLE TOOTH PENDANT HALLMARKED sterling silver 835 OIB OR BIO? In Costume Jewelry > Austrian Costume Jewelry > Show & Tell. ELK IVORY/DOUBLE TOOTH PENDANT Sterling Silver HALLMARKED 835 -IOB?Does anybody know what does the hallmark OIB OR BIO stand for?I am told that is from Germany 18th/19th century! !Any Info is welcome!!thanks!! I didn't see it right off but look at Agram.m posts. She has one there. 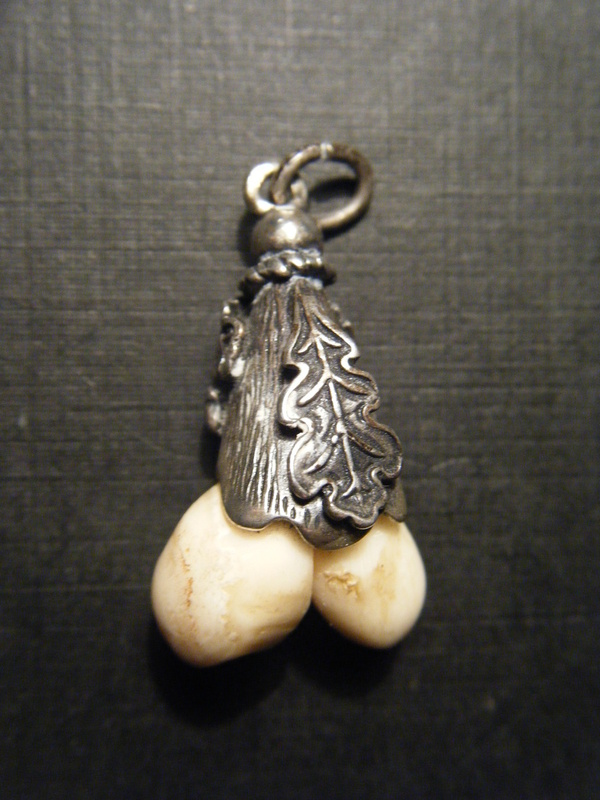 Charivari is a Bavarian term for these .... Used as part of a set of charms on a chain suspended from your Lederhosen. A noise maker dangling over the groin. thank you shareurpassion & vetraio50!! Vetra, now I know why the shape looked familiar! LOL!! See my previous answer in Aghcollects post. These might most possibly also be 'grandlers' from red deer (a special kind of teeth often used as trofy).